Corporate, Business & Personal computer solutions. On-site technicians or thru Internet support. Full time, part time or temporary technicians. We will consult with you to get you what you need. File servers, Exchange servers, Terminal servers. Off-site servers, VM servers, Backup services. Custom or Brand name Servers & workstations. Custom Laptops, Pc’s, Gaming pc’s. We fix ALL brands of Laptops & Pc’s. Repair & upgrade Laptops & Pc’s, printers. Viruses, spyware, malware, hijacks, removal. Password cracking & replace security chips. We retrieve email & dial-up passwords. We install wired & wireless networking. Routers, gateways, switches, at&t, Comcast modems. VPN (connect your remote office to you). Remote access for remote employees. Software & hardware roll outs and installations. Personal & Employee Tracking software. We can modem in to your computer & help you. We offer thru internet support, on software, repair, cleanup, phone support, training. You can sit at your pc & talk with us & watch thru any computer issues. We can do your whole office at the same time. We offer help in your home or office. Anti-virus, spyware installation & cleaning. Help with programs, drivers, backups. Program installations & email setups. We can do Multiple pc’s at the same time. After hours or weekend preventative scans. We can backup your data or teach you how to do it. We may be able to retrieve your data that was accidently erased or deleted. We can pickup & return repaired. We can connect to you & fix thru the internet. 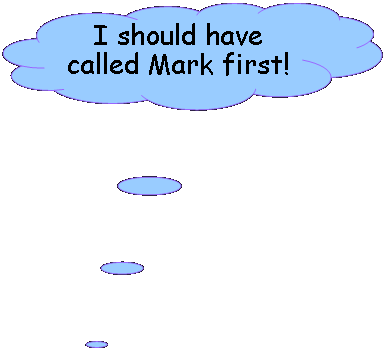 Click here for Mark to connect to your PC. Understanding Windows rebuilds & restores. WINDOWS REBUILD, NOTHING SAVED by us. 1 hard drive, We normally charge 1 hour labor +travel + sales tax for a simple rebuild, driver load, testing, with NO data saved and NO complications, if you supply all the correct driver CD’s and Windows CD and OEM serial numbers or the proper restore CD for Brand name PC’s. Parts, complications, finding drivers for hardware or replacing the part if the proper driver can not be found, etc. there may be additional charges at standard rates + parts. When customer does not provide driver, operating system CD’s & we do have to find drivers there may be additional charges at standard rates. Windows rebuild does not include any software other than the windows operating system itself. Loading your programs like Office, Word, Excel, Outlook, configuring Outlook Express, printers, scanners. ALL loads and configurations are charged at standard on site rates. WINDOWS REBUILD, DATA SAVED, PROGRAMS CANNOT BE SAVED. For a pc with 1 hard drive we normally charge 2 hour labor +travel +sales tax for a simple rebuild, driver load, testing, with data saved and NO complications, if you supply all the correct driver CD’s and Windows CD and OEM serial numbers or the proper restore CD for Brand name PC’s. Parts, complications, finding drivers for hardware or replacing the part if the proper driver can not be found, etc. if pc or data is password protected or multiple identities or when customer does not provide drivers, operating system & we have to find drivers there may be additional charges at standard rates. Windows rebuild does not include any software other than the windows operating system itself. You can load your programs when you get your pc back. If you want us to load your programs YOU must have the program or have the download information, serials, keys or codes for us to load, provide the programs & request us to load them. Windows rebuild & save data does not include setting up or configuring or importing your data into Outlook or loading programs like Office, Word, Excel, Outlook, configuring Outlook & pst files. All loads and configurations are standard in shop rates per hour. If your pc or data is password protected or multiple identities there may be additional charges at standard rates. After a windows rebuild all programs you loaded on your pc will be gone. Even if we save them they will not function in the new load of Windows. All your programs must be installed as if it was a new system for your programs to function properly. Word, Excel, Outlook are in Microsoft Office, etc… are not in windows. They are separate programs. Microsoft Office is NOT part of the operating system & will NOT be loaded unless YOU provide the CD’s and legal license & request us to load it. Importing and setup of Outlook, favorites, email addresses is not part of loading the program. Loading your programs & restoring all your data for QuickBooks, Peachtree, networking, printers, importing Outlook, favorites, email addresses, Internet connections, etc… is NOT included in rebuilding windows. We are a service company and will do whatever we can to help you with your computer at our standard rate per hour + sales tax. If the Windows on your pc has been rebuilt. If you take it home and plug everything in at once and turn it on you may have a problem. Treat it as a new pc. Plug in video, mouse, keyboard, modem or lan (looks like a wide phone jack with 8 contacts), then power. Turn it on. See that it works. Only load one device, printer or scanner not both or program at a time and REBOOT properly. Please load your antivirus first. DO NOT plug in your printer or scanner. Follow the installation instructions as if new for your printer, scanner, etc… DO NOT load your AT&T DSL or Comcast CD’s. If you have DSL or Comcast, just click on internet explorer (big blue e) to surf. If you have questions call 281-345-1000. If you do not follow these instructions you may crash your system and we will charge you to rebuild it again. If you chose the save data option, your saved data is in the directory c:\your name date, in the same order, except not in the root directory. All programs are different and load differently. For example by default Microsoft Word stores all your doc’s in the My Documents folder. Phone support or modem in support is as quoted per hour + sales tax. Pickup is defined as at door with any required CD’s in a zip bag with your name & phone # written on bag. Please note a 2nd pickup charge may apply if you find the CD’s later & they are needed. Simple in shop evaluation of simple tower or laptop $80 +sales tax. Charge for IN-SHOP repairs: per hour + travel + sales tax. Windows Rebuild or restore, NOTHING SAVED BY US, no complications we charge generally 1 hour. Windows Rebuild, ONLY DATA SAVED BY US, no complications we charge generally 2 hours. Estimate or parts testing, written or not evaluation of tower with 1 hard drive we charge generally 1/2 hour. Load any customer provided Office or program, setup or import into Outlook, load upgrade from original operating system. For each additional hard drive requiring scanning and saving of data…etc. may result in additional labor charges. In Shop Charges may not reflect actual time that we work. Our actual time working is usually 2-4 hours when we do not save data. Saving data may require 4 or more actual working hours of scanning and copying. 1-2 business days is normal, longer with complications. After we have your unit in shop we will usually see the problems & give you a better understanding of the problem(s). This is just an estimate actual cost may vary. We will call you the moment your unit is done. There is a minimum $86.60 sales tax included on all systems picked up even if the service cannot be completed or service is declined. Complications may result in additional labor charges. Our standard rate is as quoted per hour, travel + parts + sales tax. Visa, MC or cash. NO CHECKS. We are being as paperless as possible. Your credit card receipts will be emailed to you. In-shop repairs are usually 1-2 business days unless there are additional problems or we are waiting for a call or approval from you. All units left in-shop over 30 days will be disposed of. No exceptions. All services are separate & do not include or assume to include other services. Pickup & evaluation does not include fix, rebuild, save data or other services. By requesting service you agree to, understand & authorized a minimum of pickup & evaluation. Minimum $86.60 pickup & evaluation will be charged before pickup. By requesting service you agree to allow Computer Specialists to use your credit card(s) for payment on all invoice(s) & services. Onsite service calls are minimum 1 hour, plus travel charge(s) are $20.00 for every 20 miles from our office plus sales tax. Additional hours are at our normal per hour rates & sales tax. We are NOT responsible for your data. There may be loss of data. NOTE: Most PC’s these days seem to have viruses, many of them more than one. You and only you are responsible for your data We take great effort to save your data if you tell us to save your data. Sometimes we cannot. We recommend several backup devices. We recommend external hard drives & flash drives & using your CD/DVD drive for your data backup. Viruses are known to cause hardware failures and data loss. Data loss, due to any reason, is not warranted in any way. Damage or data loss due to, but not limited to, Damage from Computer Viruses, Spyware and/or any other malicious code are not warranted in any way. By requesting service I do not hold Computer Specialists (here after referred to as CS) liable for any problem(s), loss(s) or damage(s) that may occur as a result of service or attempt of service. Liability: In no event will CS be liable to you or any of your assigns for any general, consequential, indirect, incidental, exemplary, punitive, special or other damages, including without limitation damages for loss of business or personal profits, business or personal interruption or loss of business or personal information, even if CS has been advised of the possibility of such damages. The purchaser/user of any products or services purchased from CS agrees to indemnify and hold harmless CS, its employees and agents or assigns from any and all liability for damages to itself or any third parties, including attorneys' fees, courts costs, and other related costs and expenses, arising out of your use or non-use of any said product(s) or service(s), irrespective of the cause of said liability. CS assumes no liability for loss of business or loss of revenue due to equipment failure, down time, data loss or any other related issues. CS assumes no liability for defective parts or equipment. CS is not responsible for damage or loss caused by acts of God, theft, fire, testing procedures or shipping for items repaired in-shop. Warranty, Service, Return & Repair Policy: Customer’s copy of receipt required. CS is NOT liable or responsible for any data loss or operating system loss or failure due to any repair, upgrade, service or attempt to repair any part on any system. CS is not responsible for the customer’s data in any way either expressed or implied. Data loss, due to any reason, is not warranted in any way, either expressed or implied. Customer is responsible for any and all backup of data, programs & operating systems. CS is NOT responsible for acts of God or theft or damage inflicted for any reason on any system or part. Any item, part or computer left at CS for any reason past 30 days will become property of CS & will be disposed of. There is a $80-100 charge on all units taken in even if service is not completed. On any method of payment customer agrees that if for any reason payment is stopped, invoice not paid, charged back, bad check or any non-payment will result in penalties, legal fees, collection fees that will be paid by customer. Checks require a valid credit card as secondary backup payment method. We reserve the right to accept cash only payments for goods & services rendered. Any invoice over 40 days will be accrue 10% interest monthly. There will be a minimum $50 charge for any bad payment, stop payment, NS funds, non payment, charge-back. Credit card returns will be subject to a $50 fee. All hardware repairs are warranted for 30 days from invoice date on work performed. NO warranty on software, software repairs, software installs, settings or configurations, NO EXCEPTIONS. Physically damaged or broken parts void all warranties. All Warranty work is in shop warranty. All new parts are manufacturers warranty only. All parts, new or used sold as parts not installed by CS are manufacturers warranty only and not refundable & not exchangeable. No warranty, no return & no exchange NO EXCEPTIONS on used systems, consignments, used parts. No returns or refunds on new systems after 5 days. All software or operating system on any new sale can not be returned & will be subtracted from amount refunded. All returns will be tested upon receipt. Returns must have all books, disks, original packaging and no physical damage. Physical damage voids all warranties. Any work, repair, installation not done by CS will void all warranties on that unit. For 30 days CS will warranty in shop repair hardware on new computer sales. All new systems after 30 days are manufacturer warranties and are between the customer and the manufacturer. CS will replace or credit, at our option. A 40% minimum restocking fee will apply NO EXCEPTIONS. There will be an additional 25% fee for replacing missing boxes, manuals, any parts or packaging. All credits are issued at current market value. No refunds on software, laptops or special orders NO EXCEPTIONS! After inspection and at our option will issue a credit or refund after 20 working days. No refunds on labor or services provided NO EXCEPTIONS! Customers are responsible for all shipping charges to CS or to manufacturer. No warranty on any unit or service for acts of god, virus or software. As security for payment of the entire balance owed to CS, CS retains an interest in the goods sold to the customer and equipment serviced by CS. CS may, in the manner provided by law, retake the goods sold to the customer or equipment serviced by CS and, in addition hereto, pursue any other remedies as provided by law. Customer agrees to pay all cost of collection of any delinquent account including, but not limited to, attorney’s fees, collection agency fees and court costs. Repaired items left in shop over 30 days will Disposed of. Not responsible for damage or loss caused by acts of God, theft, fire, testing procedures or shipping. These policies are subject to change without notice. 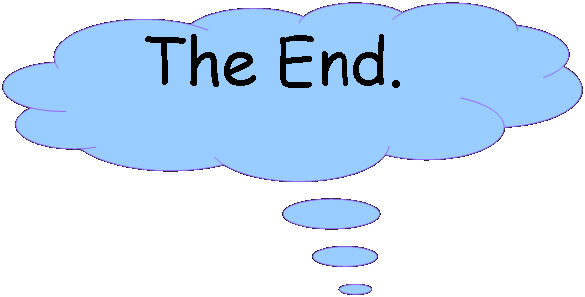 Customer agrees that policies have been read and understood & agrees with terms and payments. 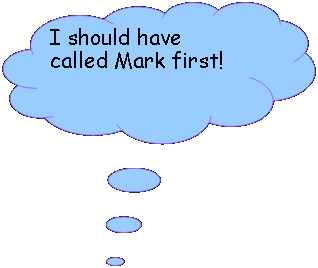 I should have called Mark first ! Every link listed below is a program I use daily or often. I can connect to your pc & walk you thru purchasing, downloading, installing, setup options & how to use. CalcTape - Awesome calculator with edit, scratchpad, print, save, tabs, custom buttons & so many more functions. Windows, Android, Apple. Atnotes - Awesome post it note with alarm & much more with send to networked pc’s also. Ccleaner - temp folder cleaner & more. Locknote - Portable notepad on encryption, great to store personal text information securely. Phrase Express - keep & insert a phrase into program or website, portable, encryptable, Use it for opening websites, inserting usernames & passwords. KeePassXC Password Safe - portable, simple to understand & setup, to open websites & put in usernames & passwords, timeout function to make it more safe. Dsynchonize - Awesome sync program, now with email support. CutePDF & Ghostscript - pdf printer, to scan to pdf. OpenProj - open source project management. Convert all kind of things. Crococrypt - program for copying & synchronizing of files/folders/directories to encrypted folders. Transfer Big Files up to 20 GB. Wizmouse - makes the window your mouse active without having to click in it. Ipviking - Want to see what is really going on in the world outsite. This is why you need a firewall & antivirus. Live in real-time. Have popcorn & beverage when you go there. This page will soon fill up with more links, check back often. We build, repair & maintain Servers, Networks & Computers. We repair networks & all brands of computers. When your computer gives you errors or will not function properly, the problem can be hardware or software or both. We repair when we can. Sometimes Windows operating system becomes corrupted. Viruses, deleted files, power outages, Spyware, Malware, program conflicts, hardware gone bad, all can cause Windows to crash and lose and corrupt data. Sometimes the Windows operating system will need to be rebuilt or restored. Reloading Windows on top of itself rarely fixes the problem. Often it makes them worse & creates additional problems. Some windows problems are too complicated to spend hours finding & fixing code. We have found that reinstalling on itself can leave corrupted, virused, residual & orphaned files on the hard drive to begin interfering with operations and corrupting data all over again. We repair when we can. Sometimes it is not cost effective to repair or rebuild. Sometimes a new pc is the best option. We will give you all the options we can. No one can guarantee you will remain virus free. the anti-virus definitions to catch them are updated. You should scan often. You should backup often. We can teach you how or we can do it for you. This is my favorite Backup & restore program. I am pretty familiar with it. I use it. I am a reseller for Aomei Backupper & partition products. Contact us for information. I can connect to your pc & walk you thru purchasing, downloading, installing, setup options & how to use. I can even modem in to your servers or pc’s on a regular set schedule, run the backups for you, or verify the scheduled backups are working. Your data is usually more important than the pc. You can buy another pc. You can watch me work on your pc from the comfort of your own chair in front of your pc.